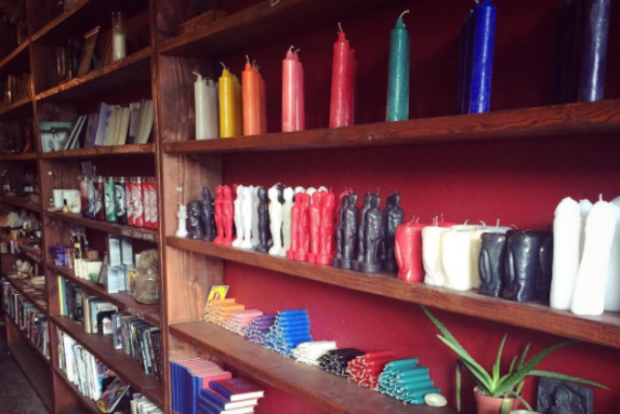 Last year, we reported that Bushwick’s occult store Catland Books was temporarily shut down by the fire department on December 16, 2016. Today, it was announced that Bushwick’s treasure chest will reopen tomorrow, January 14! Catland's owner Melissa Madara says that while the shop was closed for nearly a month since the middle of the holiday season, she and her team at Catland Books have fulfilled their responsibilties following a routine inspection implemented by the FDNY that revealed that they weren’t complying to the NYC fire code law. “We’ve completed all of the necessary renovations and submitted all of the necessary forms,” Madara explained to us by email earlier this week. Prior a deputy officially cleared her business to reopen, that reopening was taking much longer than she had initially imagined it would. “Hopefully things will be moving now that Mercury is out of retrograde,” she elaborated. A big congrats, and welcome back, to Madara and the team at Catland Books! Show Catland Books some love after getting brunch on Flushing this weekend, Bushwick! Featured image: Courtesy of Catland Books.